Denver, CO, November 19, 2018 – The City of Santa Ana, California has selected Magellan Advisors to consult on telecommunications policy and broadband master planning. Magellan is the nation’s leading broadband and smart city consulting firm and is the only firm that combines municipal broadband and wireless policy, fiber-optic network development and community broadband planning. Santa Ana is taking a proactive approach to future municipal efficiency, economic development and quality of life by committing itself to enabling greater fiber-based connectivity for its businesses, anchor institutions and residents. Magellan’s team will assist the City in developing and adopting ordinances and municipal strategies that support this initiative, allowing the City to maximize local efforts in securing reliable, affordable, high-speed internet services for economic development and smart city applications. In localizing control over broadband and wireless policies, Santa Ana joins a number of communities that are foreseeing the deployment of future technologies as a critical issue. With the coming of 5G, municipalities are presented with unique opportunities and challenges. By engaging Magellan Advisors, the City of Santa Ana will face these head-on by implementing best practices in public policy, positioning the City to leverage existing infrastructure and to manage rights-of-way in anticipation of deployment of 5G technology. Magellan’s west coast team will also work with Santa Ana’s leadership to develop a Fiber Master Plan designed to provide cost-effective, resource-efficient municipal broadband services for economic development. This infrastructure will support high-speed connectivity throughout the City for improved government services and smart city technologies including intelligent transportation, public safety innovations, and other applications designed to improve livability and sustainability in Santa Ana. Magellan Advisors provides leading broadband, smart city, information technology, and security consulting services to public and private organizations. Magellan is a full spectrum planning and implementation firm that brings together technology, communications, and utility consulting to create smart gigabit cities of tomorrow. The firm believes strongly that they are only successful when clients are successful. Magellan’s goal is to find practical broadband and technology solutions that our clients can implement in their communities. 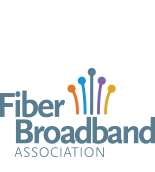 Through the firm’s services, over $1 billion new broadband investments have been made connecting more than 1,000 schools, hospitals, libraries, and governments and passing nearly 1 million homes with fiber.